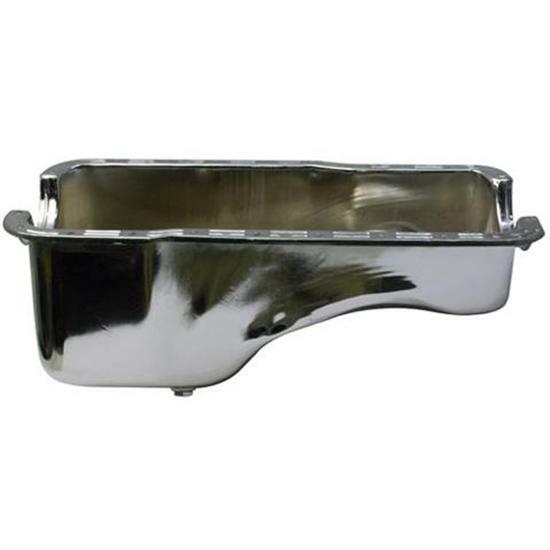 This chome front-sump pan for the Ford 289-302 is App. 8" deep at the lowest point, which is at the bottom of the drainplug. It is a standard capacity pan. The sump is app. 6" from front-to-back, and the pan is 4" deep at the rear.